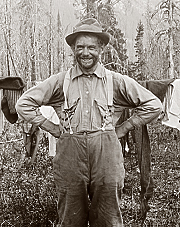 Byron arrived in Banff, Canada from Tacoma, Washington in 1903 as a travelling photographer. 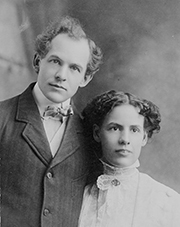 The landscape and the spirit of adventure which permeated the Rockies captivated Byron and set the stage for his life's work. 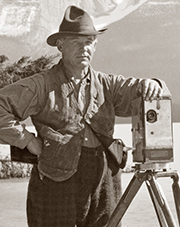 Two essays by Canadian Mountain writers, John Whyte and Bart Robinson go in depth into the life of Canada'a premier historic photographer; Byron Harmon.